"Targeted Metabolomic Approach for Assessing Human Synthetic Cannabinoid Exposure and Pharmacology"
The harmful effects of increasingly popular designer cannabis products called “Spice” or “K2” have puzzled scientists for years, but now a group of researchers is reporting progress toward understanding what makes them so toxic. The study, published in the ACS journal Analytical Chemistry, describes development of a method that could someday help physicians diagnose and treat the thousands of young adults and teens who end up in emergency rooms after taking the drugs. 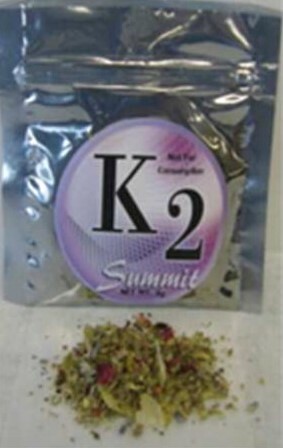 Jeffery Moran and colleagues note that synthetic marijuana, often marketed as “natural incense,” “potpourri,” Spice or K2, is a significant public health concern, and 1 in 9 high school seniors admit recent use. The products appear across the United States and Europe, and are the second most popular drug after real marijuana for many American teens and young adults. The substances produce a “high,” but also can cause a wide range of dangerous side effects including seizures, hallucinations, severe kidney damage, psychotic behavior and heart attacks. Scientists are quickly playing catch-up to understand how these fake pot products work in order to identify them in users’ urine and to treat the devastating health effects, which, in some cases, plague users for months after they initially take it. To gain insight into the effects of designer marijuana products, Moran’s team developed a new method and used it to study how the body processes two popular forms in Spice and K2, known as JWH-018 and AM2201. Urine samples from 15 people who tested positive for use showed significant differences in how the individuals’ bodies processed the drugs. This finding could help explain why some people experience more severe effects from the drugs than others. The authors cite funding from the Association of Public Health Laboratories and the U.S. Centers for Disease Control and Prevention.